Newly adopted Marketing Authorisation Decisions (last six months) made by the European Commission. A searchable resource reporting primary data, publications, and commentary on publicly available antibodies that detect human protein targets. The world’s largest antibody search engine, with results ranked by citations. A reagent intelligence platform that transforms published data into experiment-specific recommendations. A short video demo is available here. Academic groups may register for free. This search engine can be used to find antibody suppliers for thousands of specific antibodies, or locate sources for other products and services, such as antigens, ELISA assay kits, cytokines, enzymes, recombinant proteins, siRNAs, tissues, organs, and custom antibody services. Labome’s searchable antibody application record database with details about the antibody application method, dilution, the cell type or tissue sample used, in addition to information about the antibody itself, such as host species, clonality and clone name. This database is freely available to the research community. Bradbury et al., When monoclonal antibodies are not monospecific: Hybridomas frequently express additional functional variable regions. (mAbs, 2018). Taussig et al., Antibody validation: a view from the mountains (New Biotechnology, 2018). Weller MG. Ten Basic Rules of Antibody Validation. (Analytical Chemistry Insights, 2018). Burghi et al., Validation of commercial Mas receptor antibodies for utilization in Western Blotting, immunofluorescence and immunohistochemistry studies. (PLoS One, 2017). Roncador et al., The European antibody network’s practical guide to finding and validating suitable antibodies for research. (mAbs, 2016). Begley & Ioannidis. Reproducibility in science: improving the standard for basic and preclinical research. (Circulation Research, 2015). IMGT®, the international ImMunoGeneTics information system®, is the global reference in immunogenetics and immunoinformatics, created in 1989 by Marie-Paule Lefranc (Université de Montpellier and CNRS). IMGT® is a high-quality integrated knowledge resource specialized in the immunoglobulins (IG) or antibodies, T cell receptors (TR), major histocompatibility (MH) of human and other vertebrate species, and in the immunoglobulin superfamily (IgSF), MH superfamily (MhSF) and related proteins of the immune system (RPI) of vertebrates and invertebrates. IMGT® provides a common access to sequence, genome and structure Immunogenetics data, based on the concepts of IMGT-ONTOLOGY and on the IMGT Scientific chart rules. IMGT® works in close collaboration with EBI (Europe), DDBJ (Japan) and NCBI (USA). IMGT® consists of sequence databases, genome database, structure database, and monoclonal antibodies database, Web resources and interactive tools. Packing Angle Prediction Server – predict VH/VL packing angle. Abnum – apply standard numbering to sequences or structures. AHo’s Amazing Atlas of Antibody Anatomy. The AAAAA aims to become the ultimate tool for antibody structural analysis, modelling and engineering. The Structural Antibody Database (SAbDab) and the Structural Antibody Prediction Server (SAbPred). ExPASy is the Swiss Institute of Bioinformatics Resource Portal which provides access to scientific databases and software tools in different areas of life sciences, including proteomics, genomics, phylogeny, systems biology, population genetics, and transcriptomics. UniProt is a comprehensive, high-quality and freely accessible resource of protein sequence and functional information. The Human Protein Atlas contains information for a large majority of all human protein-coding genes regarding the expression and localization of the corresponding proteins based on both RNA and protein data. The atlas consists of three subparts; cell, normal tissue, and cancer with each subpart containing images and data based on antibody-based proteomics and transcriptomics. The Protein Data Bank (PDB) is a single repository of information about the 3D structures of proteins, nucleic acids, and complex assemblies. The PDBTM is the first comprehensive and up-to-date transmembrane protein selection of the Protein Data Bank. STRING is a database of known and predicted protein-protein interactions. The interactions include direct (physical) and indirect (functional) associations; they stem from computational prediction, from knowledge transfer between organisms, and from interactions aggregated from other (primary) databases. PhosphoSitePlus® (PSP) is an online systems biology resource providing comprehensive information and tools for the study of protein post-translational modifications (PTMs) including phosphorylation, ubiquitination, acetylation and methylation. iReceptor is a distributed data management system and scientific gateway for mining “Next Generation” sequence data from the adaptive immune (antibody/B-cell or T-cell) receptor repertoire (AIRR). The main goal of iReceptor is to connect a distributed network of AIRR-seq repositories (the AIRR Data Commons), allowing queries across multiple projects, labs, and institutions. The iReceptor project works closely with the AIRR Community (now part of The Antibody Society), to develop both the foundational biological and immune genetics requirements for reporting these data, as well as to develop the technological components of the iReceptor Scientific Gateway and the AIRR Data Commons. 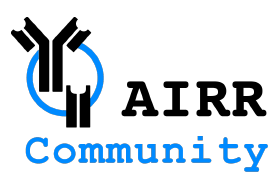 The AIRR Community was formed to develop protocols and best practices to facilitate comparing and sharing data. VBASE2 is an integrative database of germ-line variable genes from the immunoglobulin loci of human and mouse. All variable gene sequences are extracted from the EMBL-Bank. The Expression Atlas provides information on gene expression patterns under different biological conditions. Gene expression data is re-analyzed in-house to detect genes showing interesting baseline and differential expression patterns. Mouse Genome Informatics (MGI) is the international database resource for the laboratory mouse, providing integrated genetic, genomic, and biological data to facilitate the study of human health and disease. The Genomic Data Commons (GDC) Data Portal is an interactive data system for researchers to search, download, upload, and analyze harmonized cancer genomic data sets, including The Cancer Genome Atlas. COSMIC, the Catalogue Of Somatic Mutations In Cancer, is the world’s largest and most comprehensive resource for exploring the impact of somatic mutations in human cancer. EudraPharm is intended to be a source of information on all medicinal products for human or veterinary use that have been authorized in the European Union (EU) and the European Economic Area (EEA) and on clinical trials of medicinal products, including products with or without a marketing authorization. Japan Pharmaceutical Information Center: Clinical Trial Information; UMIN Clinical Trials Registry: Clinical trials in Japan. US Food and Drug Administration. Information about FDA-approved brand name and generic prescription and over-the-counter human drugs and biological therapeutic products can be found at drugs@fda, which includes most of the drug products approved since 1939. The majority of patient information, labels, approval letters, reviews, and other information are available for drug products approved since 1998. European Medicines Agency. The European public assessment reports for human medicines published by EMA, and information about pending European Commission decisions and medicines under evaluation by EMA can be found via the ‘Medicines under evaluation’ page. European Commission. Newly adopted Marketing Authorisation Decisions (last six months) made by the European Commission. Japan’s Pharmaceuticals and Medical Devices Agency (PMDA) is the Japanese regulatory agency, working together with the Ministry of Health, Labour and Welfare. PMDA conducts scientific reviews of marketing authorization application of pharmaceuticals and medical devices, monitoring of their post-marketing safety. Lists of approved drugs and review reports are available on the PMDA website. Espacenet. Free access to the database of over 90 million patents documents from around the world. World Intellectual Property Organization. Using PATENTSCOPE you can search 59 million patent documents, including 3.1 million published international patent applications. The United States Patent and Trademark Office (USPTO) is the federal agency for granting U.S. patents and registering trademarks. Patents may be searched using the resources available on the USPTO website. The Lens is an open global cyberinfrastructure to make the innovation system more efficient and fair, more transparent and inclusive.The Lens is building an open, integrative basis for Innovation Cartography. Specifically, the Lens serves nearly all of the patent documents in the world as open, annotatable digital public goods that are integrated with scholarly and technical literature along with regulatory and business data. The Antibody Registry was created to give researchers a way to universally identify antibodies used in the course of their research. The Antibody Registry assigns unique and persistent identifiers to each antibody so that they can be referenced within publications.